There are myths and misunderstandings that people labor under when it comes to oral surgery. These misconceptions can injure people since they motivate them not to get crucial work done that could spare them a lot of discomfort and pain in addition to improve their total health. Here are the three most common misconceptions about oral surgery. When given the choice between oral surgery and alternative treatments, some individuals select what they believe to be the less costly choice. Some even do nothing at all! The truth is that dental surgery pays for itself; no matter how excellent an alternative treatment is, it can never be as natural or healthy as surgery. And I should not have to tell you why not doing anything is the worst alternative of all! There are a couple of consistent “horror stories” about oral surgery that keep individuals from the dental professional’s chair. For instance, a recent Oral Surgery survey revealed that individuals who had actually never gotten root canal therapy were 6 times more likely to describe it as “painful” than those who had actually had the treatment done. Here are some myths and the fact behind every one. Reality: Oral surgery is still surgery so there will be some discomfort and pain. However, most patients who undergo the treatment discover it no more uncomfortable or uncomfortable than an easy tooth extraction. 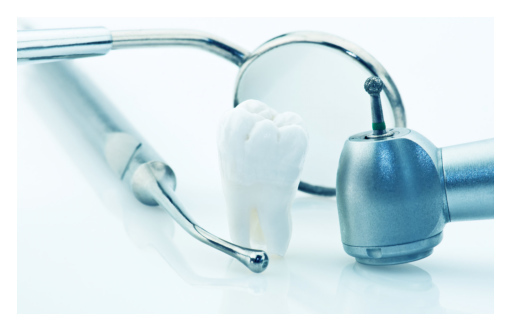 Additionally, oral surgeons take care to make sure patient comfort during these treatments, providing a range of anesthesia options to fit the needs and choices of patients. Reality: Among the most persistent misconceptions about dental surgery is the concept that recovering from it is a long and arduous procedure. People envision that they’ll be laid up in bed for days, maybe weeks, afterwards. The truth is that many oral surgery treatments have fast healing times. You’ll be a little tender for a bit in most cases, and will need to watch exactly what you consume: Hot and cold foods might aggravate your teeth while they’re healing. However usually you should have the ability to go about your daily life with no difficulty within a day of the surgery. The healing process can periodically cause some pain. But in many cases you’ll be recommended pain medication that need to assist you handle it. And the time period in your healing in which you’re sensitive and susceptible to pain will be pretty quick. If your past includes the loss of a tooth that you’ve left untreated to the point of bone loss, we are here to tell you that there is a way to restore your smile completely. The healthiest, most appealing method to replace lost teeth is with oral implants. Implants have the appearance of natural teeth integrated with the replacement of the roots to keep the tissue surrounding the tooth in optimal shape. If you have actually quit on the idea of having actually implants put since you do not have sufficient bone in your jaw to have them put, think again! With a bone graft treatment, we can take bone from another part of your jaw (the majority of the time it originates from your chin or the back of your jaw) to add bone to make having implants possible. The desire for having a brand-new, gorgeous smile doesn’t need to pass away! You can restore your jaw with a bone graft to set you up for the success that is dental implants. Truth: Picking the most proficient and skilled company– an oral specialist– who uses top-quality materials and equipment to perform your oral implant treatment is the very best method to ensure optimum outcomes. While offers from discount rate oral implant centers or oral tourism attire may appear tempting, oral implants are one location in which you’re rather most likely to obtain exactly what you spend for. Often, these discount rates are made possible by cutting corners, such as using inexperienced personnel, poor quality materials or outdated equipment, all which can cause substandard results and higher threat of complications. Reality: While you can be too young for oral surgery, given that they aren’t an excellent option up until jaw development is complete, you can’t be too old. In fact, oral clients in their 90s have actually been successfully treated with dental implants. You do not need to be in perfect health either. While conditions like active gum illness, bleeding conditions or uncontrolled diabetes or high blood pressure might pose a problem, the majority of health concerns, so long as they are treated and managed, do not disqualify patients as oral implant candidates. If you think oral surgery is ideal for you, you may contact our dental office anytime.